Agilent Technologies 1200 G1330B FC/ALS Therm & G1377A Micro WPS w/ Solvent Tray . New Life Scientific, Inc. Although this Agilent Technologies 1200 Series FC/ALS Therm and Micro WPS have not been tested due to lack of software, they are still backed by our 90-day warranty. These instruments are in great physical condition, with only minor cosmetic wear and age. 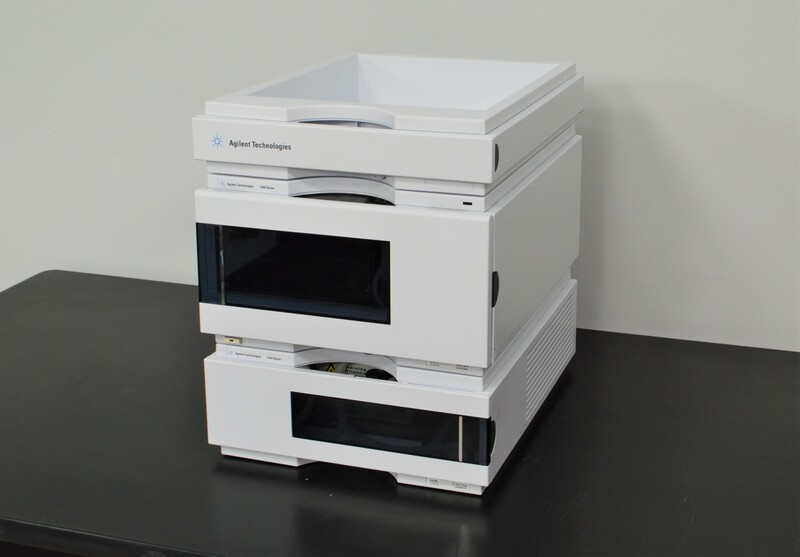 This system includes the Autosampler/Fraction Collector G1330B ALS Therm, G1377A Micro WPS, and solvent tray from the Agilent Technologies 1200 Series HPLC.